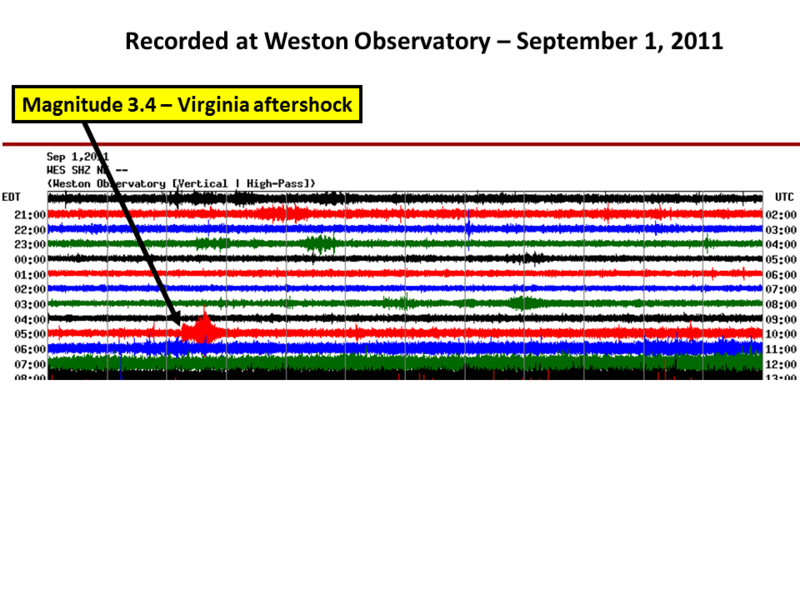 Weston Observatory seismographs recorded the magnitude 3.4 aftershock in Virginia on September 1, 2011. For more info on this earthquake, go to US Geological Survey report. Public Misconceptions About Faults and Earthquakes in the Eastern U.S.